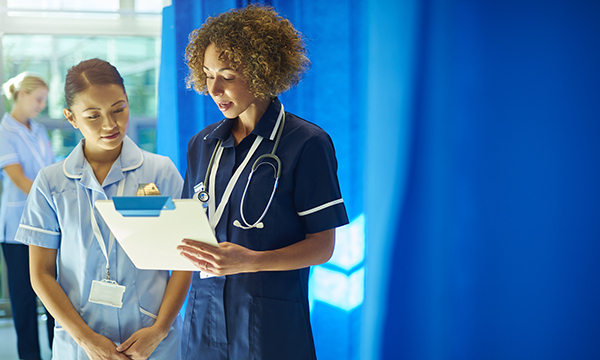 There are ways around the shortfall in continuing professional development (CPD) budgets, England’s chief nurse Jane Cummings told Nursing Standard in an exclusive interview. Speaking earlier at the Chief Nursing Officer for England's Summit, Professor Cummings said that she understood the frustration over CPD funding, but other informal routes, such as shadowing, could offer learning benefits. Baroness Mary Watkins of Tavistock told delegates at the conference in Liverpool this week that postregistration nurse training should be funded in the same way as medical training. The crossbench peer and professor of nursing said: ‘I argue that we are underinvesting in the nursing profession in England at the moment. Where is the CPD money? Where is the opportunity for someone like me as a staff nurse to leave general nursing and go away to learn mental health nursing? The King’s College London visiting professor’s comments received cheers and applause, but the feedback was not a surprise to England's chief nursing officer. She recalled a recent conversation with a band 5 nurse who said a shadow placement had been ‘one of the best things she had ever done’. ‘It had given her a significant amount of education and training. What it hadn’t given her was a master’s,’ Professor Cummings said. Professor Cummings also said online learning tools and resources such as Nursing Standard offered opportunities to increase knowledge.